Last week, I introduced you to Due.com and the founders, John Rampton and Murray Newlands. That article, John Rampton, Murray Newlands, and Due.com talked about the people behind the brand and also about what Due.com offers in the area of online bookkeeping software. However, I didn’t know what was peeking out from behind the shadows. There is a section of Due.com that covers every aspect you could think of, for entrepreneurs! 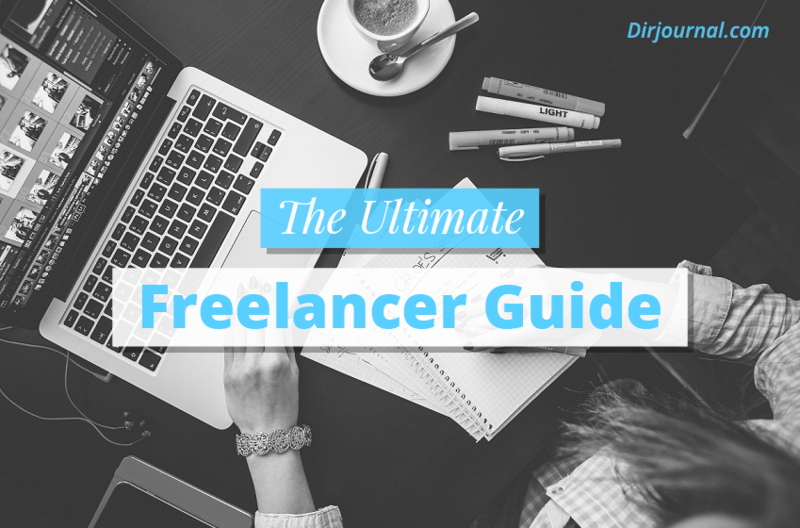 It is the Ultimate Freelancer Guide. The following sections are included in the Due.com ultimate guide. We will give you a little preview of what each section covers. Then, be sure to visit the site and bookmark it. This will help you, as a freelancer, so that you can be better prepared for what faces you. Even for those freelancers who have been doing this for a while, there is likely to be something that you will find helpful in this guide. I began freelancing when I was 12 years old, selling a crocheted ice skate design to a store. Yes, you read that correctly. I’m not even sure that I have crocheted since then, but it propelled me into the world of “freelancing,” and I haven’t looked back since then. This section of Due.com’s guide not only addresses the question of what freelancing is, but it gives examples of areas where you could freelance. This is also helpful for those who have a “day job,” so that they can freelance on the side, in an area that interests them. Like I mentioned, I started freelancing when I was 12 and I continued to freelance even as I entered corporate America as a Chief Technology Officer in the Beverly Hills financial industry. For those who are doing double duty, you really need the help that this guide provides, even more. In some ways, the pros and cons may seem obvious. For those who are not experienced at freelancing, they often dream of “being their own boss.” However, that is not the only aspect. If you have never been a freelancer, this section of the guide is very important, to ensure that you evaluate all points before making the jump. If you have already been forced to make the jump (i.e. lost a job), then this will help to frame the situation so that you understand what you are up against. This section provides some great ideas for setting up your workplace. Keep in mind that you do not have to have a dedicated office (i.e. a separate room). It does help, for tax purposes, but it is not essential. What is most important is that you get working, so that you have the income to pay for the office equipment (i.e. computers, etc.) and services that you need. Rather than spending it up front, keep it simple and get started. Another thing to keep in mind, if there are other people in your life, like your spouse and family, is the buy-in from them. It is helpful if you have one of those family meetings and include them as a part of the team. That doesn’t mean that you incorporate their labor (that is another discussion). However, it will help you in the long run if they are on your side, as your cheerleaders. That also includes the space that you claim for your workplace, so this is a good spot to include them in that conversation. Branding is very important. Often times, people start to freelance with a “coming soon” web space and never return to finish their under construction page. In their eagerness, they list that they perform every task or service under the sun, in desperation to obtain their first client. It is more important that you brand yourself. It is also important that you have an objective and a way to describe what you do in that 15-second elevator pitch. If you really do perform every task under the sun, figure out a way to package it into something that is able to be communicated to other people. Refer to the first section in the guide, “What is Freelancing?” to give you some ideas on how to package it, and then use the advice in this section of the guide to move forward with your personal branding process. This is another place people sometimes skip, in their eagerness to work. However, you need to show off what you do, in order for the future clients to see what you do. Another key aspect that is helpful about the portfolio is that it helps you to remember what you did! Believe me, after you have freelanced as long as I have, you actually forget some of the gigs! It isn’t unusual for me to visit a site and say, “Hey, I like that article” only to realize that I was the author and forgot I wrote it. However, like the advice provided in the guide, don’t show everything you have done in the portfolio, just your best work. What I am suggesting is that you keep a private list of everything you have done (helping you to remember all your gigs) and then from that list, choose the best work for the public portfolio. I admittedly do not do as well with this one. Fortunately, John Rampton and Murray Newlands cover it in this section of the guide. I tend to want to help people out for free, but the reality is that you cannot pay bills if you don’t charge for your services. If you expect to have sanity that includes spending time with your family and rest and relaxation time, you need to charge the right amount for your services. Do not undercharge. If you do, you will find yourself working for pennies and will be so exhausted that you will not perform well. This section will help you understand how to approach the process. Marketing and Promotion is quite an extensive topic and has quite a few sub-topics that could be discussed. Fortunately, in this freelancer guide, the most important aspects are distilled out for you in an easy-to-follow bulleted list. You can always branch out into other areas of promotion, but the key is that you ensure that get started with your marketing and this section will get you there. It is great that you are all set up and ready to go, but how are you going to fund your freelancing dreams without work? Fortunately, this guide provides actionable steps for you in this section. There are tips on how to find those paying gigs and paying customers. Have you ever heard of “scope creep?” It is a project management term that means that you are nudging away from the original requirements of the project. Usually, in project management circles, it is in reference to clients wanting things that were not on the original quote. It is possible for project managers to also perform scope creep, but clients don’t generally complain if they get more than they paid for, but freelancers do get upset when clients ask for more than what was covered with the initial payment. When I was finishing my degree in software architecture, one of my fellow students coined the term “scope leap.” I wish I could credit that person because it is a great description for what happens in nightmare client situations. Scope leap is scope creep on steroids and it is a real hair-pulling-out-moment. Why am I telling you all this? This section of the Freelancer Guide helps you by providing you with the steps you need to take with your clients. If you follow the steps recommended by John and Murray you should be able to avoid scope leap. You should also be able to minimize scope creep. It should result in happier clients and hopefully repeat, as well as recommendations, for more mork. Funny, we just talked about project management! Yes, this is actually something that is needed. I admit, I am biased because I have served as Director of Project Management Office. In fact, I got Internet Marketing Ninjas going in that very area and taught the staff how to perform basic project management. Ok, enough bragging.. The key point is that it is a need. It has been proven time and time again that the time that it takes to perform project management (correctly) actually is less than the time it takes without it. How do I know that? I was able to prove it when I was a Chief Technology Officer. My COO wanted to dispense with project management as a waste of time and paperwork. I demonstrated that by using project management we were able to track the project, the resources, and the costs and keep everything on time and within budget. That came in handy when I completely re-structured their IT infrastructure. Don’t worry, John and Murray keep it simple in this section. They make recommendations for a tool that you are probably already using. Project Management can be as simple or as complicated as you like and the key is to keep yourself organized so that you can be effective and efficient. This allows you to get a better return-on-investment (ROI) for your time and money. The guys sum up their guide with some final words, as I’m doing here in this article. It is like a “send off” after graduating. Keep in mind, too, to bookmark the guide so that you can reference it later. And, don’t forget to check out the bookkeeping fun that awaits you at Due.com, allowing you to handle all that money that will be pouring into your freelancing business. I’m still trying to figure out what a “crocheted ice skate design” is. A crocheted cover for ice skates? Something else crocheted that has an ice skate image on it? They do have a lot of information in that freelancer guide, don’t they? While freelancers are their own boss, we do still have to deal with other people. I’ll have to look and see if they have a section on how to deal with difficult clients. My philosophy is fire bad clients immediately to make room for good ones. We must never keep a client that makes everything an emergency as it will negatively impact our other clients and hurt our business. Good question, Gail. I guess you are right, “crocheted ice skate design” isn’t necessarily readily apparent, eh? What it was was like a decoration. I think it started out as a Christmas ornament and it was two skates, made from folded over crocheted pieces and stitched with a paper clip in it, as the blade. I was just something silly and people would buy it for 25 cents. I had to stop making them after I sold it to the craft shop. Good policy on the “fire bad clients to make room for good ones.” I agree. The emotional energy that is lost is not worth any amount of money and only affects us and our other clients in a negative way. You know, whenever I train someone into freelancing, we always end up taking about how to manage your time, how to deal with the billing, how to deal with things when you have more than 1 client. Basically, you’re breaking the ice when you start having more than just 1 client, on a regular basis. I think it’s pretty cool to have a tool that incorporates all and eases on the project management burden from A to Z.
Hi Roxana. I agree! I read that and thought how helpful the guide would have been years ago! It is nice to have the information all in one place so that you can cross-reference it and find gaps in what may need more attention. And, so true about adding the 2nd (and beyond) client. When I add a new type of project for the first client, I try to create templates and processes so that I’m ready for the next one. Thanks, Roxana. Thanks for sharing the guide, Deb! While I have a huge experience of being a freelancer, there are still lots of aspects of it I never figured out. One of those is effectively estimating your time and charging enough for it. I’ve always had trouble with coming up with rates! Thanks, Ann. Yes, you do have a lot of experience in the freelance area! I think we all have our areas of challenges. I share yours, with the rates. However, I do think you do a fair job at it and I’m sure you are improving. Thanks so much for sharing the freelancer guide with us. It truly is a fabulous resource for those of us who work on our own terms (as I like to say it). I find that I have the same issue as Ann Smarty does. Sometimes the job may take a lot more time than I expected it to, and I end up undercharging for my work. I think that taking a closer look at just how much time it takes is essential to price our services correctly. Transitions can certainly be tormenting, especially when you don’t know what to expect. But in spite of the difficulties that transitions present, they also offer an opportunity to do things differently that will bring about big changes. Having a guide like the one discussed could prevent many aspiring entrepreneurs from crashing and burning at the outset. By being better equipped with foresight and the proper tools, the aspiring entrepreneur can move beyond the normal obstacles and be in a better position to leverage his work more efficiently. The good news is that the Ultimate Freelancer’s Guide sets beginning entrepreneurs up for success and the Due.com application alleviates another major headache of having to learn an application like QuickBooks, which could be an intimidating piece of software given everything else that the entrepreneur needs to be focused on at the same time.